Adam Robinson talks CafeSmart 2017, which raises funds for the local organisations that help Australians in need. Adam Robinson started out this century with a lofty resolution: he hung up his corporate tie and immersed himself in the not-for-profit world. “I’d done enough in the business world,” says Robinson, who gave up his marketing firm in 2000 to focus full time on work with the small Dandenong-based service Youth Assist, and eventually on his own operation, StreetSmart. Today, StreetSmart holds a number of ongoing and annual fundraising projects that support grassroots community-based homelessness organisations all across Australia. Among them is CafeSmart – a day-long fundraising initiative on Friday August 4 where over 40 coffee roasters and more than 500 cafes throughout Australia will donate $1 from every cup of coffee sold to fund local programs. People also have an opportunity to leave some coins (or a note) in a box at the cafe, or donate digitally via the CafeSmart) website or Skip. Robinson says he became interested in homelessness after noticing what he “perceived to be a lack of narrative” around the issue in Australia, and “the appalling figures and stats around it”. The number of homeless people in Australia has grown. The 2011 census recorded 105,237 homeless Australians, which increased from the previous census in 2006 by more than 15,500 people. Homelessness figures to accompany the 2016 census will be released in 2018. Australia, which consistently ranks high on global performance indices, such as the OECD Better Life Index, tends to underperform on its approach to homelessness. Comparative rates of social spending, for instance, which funds things such as public housing, are well below the OECD average, lagging far behind countries such as France, Finland and Belgium. Robinson says there needs to be a more comprehensive strategy to address this complicated issue, which – with exceptions such as Kevin Rudd’s unfulfilled public housing program – he believes is mostly under-adressed on a national level. Robinson set up StreetSmart in 2003 as a way to tackle homelessness at a grassroots level. Its other initiatives include StreetFunder, a program that funds a different project each month, and DineSmart, an annual six-week initiative that encourages people to leave a couple of extra bucks on top of their bills at partner restaurants. Money raised supports small, community-based homelessness organisations, which operate in the same area as the partner restaurants are based. 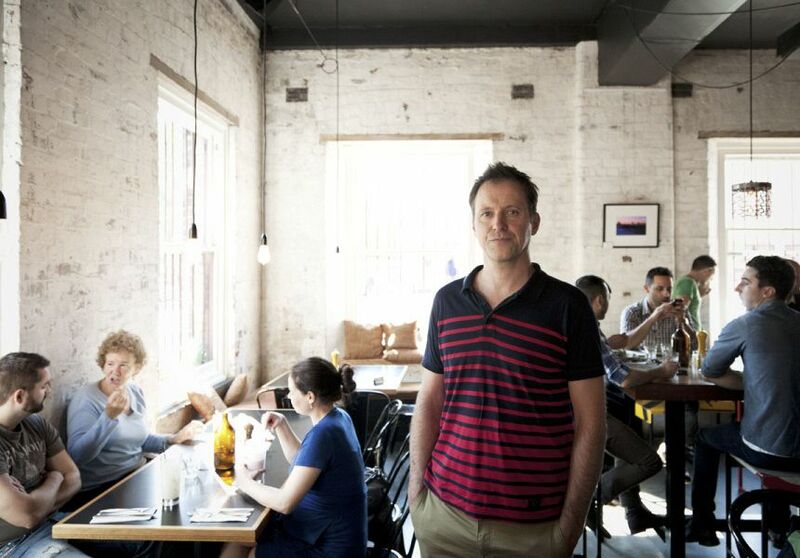 In 2011 he partnered with roasters including St Ali, Allpress and Campos, plus around 150 cafes for the first CafeSmart. Last year CafeSmart successfully enlisted more than 540 cafes around Australia (approximately two-thirds were from Melbourne and Sydney) and raised more than $160,500. Past donations have funded organisations such as HoMie, a Melbourne-based program that gives young homeless people retail training at its Brunswick Street clothing shop, and Orange Sky Laundry, a free mobile laundry service that began in Brisbane in 2014 with two washers and dryers in the back of a van, and now has services all across Australia. StreetSmart has funded more than 1400 projects since it started in 2003. Robinson says CafeSmart aims to raise $250,000 during this year’s event, and hopes for a more even cafe-consumer donation composition; it’s currently around 80/20 with “cafes doing the heavy lifting”. Broadsheet is a proud partner of StreetSmart Australia. Check the cafes taking part in your city, here.You can also support CafeSmart by using the hashtag #helpyourhood on social media.